Gary L. McKiddy was a member of a three-man Scout Team. The pilot was Tommy Whiddon and the co-pilot was James Skaggs. When his helicopter was shot down, Gary was thrown free. He ran back to the Helicopter and pulled the Co-Pilot free and took him to safety. Gary then returned to the helicopter to free the in conscious pilot from his seat belt and as he reached across the pilot the helicopter blew up killing both Gary and the pilot. This story is written by his younger brother Ron McKiddy. Gary had the ability to play a song on a guitar after only hearing it once. He had a band and wrote his own songs. One song he wrote as “Honey, Honey”. It wasn’t long after Gary sang that song at “Battle of the Bands” around Dayton, Ohio that it starting being played on the radio station. Another group had recorded the song after they had heard Gary sing it. Another one of his songs,”Sugar, Sugar” was also recorded by a band called the McCoys. There wasn’t anything that Gary could do because he did not put a copy-write on the songs. Boy, could Gary sing. If American Idol was around back then, Gary would have won it hands down. Gary had a way of settling people down but if a fight broke out Gary never ran. I recall a time when some bullies wanted to fight me. I had stepped on to their turf but I didn’t want to fight them. They came down the street to “Talk” to me. Gary and some of his friends stopped them. Gary said “If you want to fight my brother you will have to start with me and my friends first”. After that I was left alone. Gary taught me how to fight, how to stand on my own two feet, how to hold my head up high and how not to be scared to say what I thought. Gary was a great baseball pitcher also. When I was about 7, Gary pitched in a league against a guy named Mike Schmidt. Yes, that is the Mike Schmidt that went on to play for the Phillies and is now in the Baseball Hall of Fame. Gary struck him out every time he face him. Gary was a friend to everyone he met. He stood with you in the good times and the bad. You knew you could count on Gary having your back. Gary loved playing practical jokes on people. Not the kind that would hurt or embarrass someone more like the “Candid Camera” kind. Gary was a great man and yet he was even a better Big Brother. 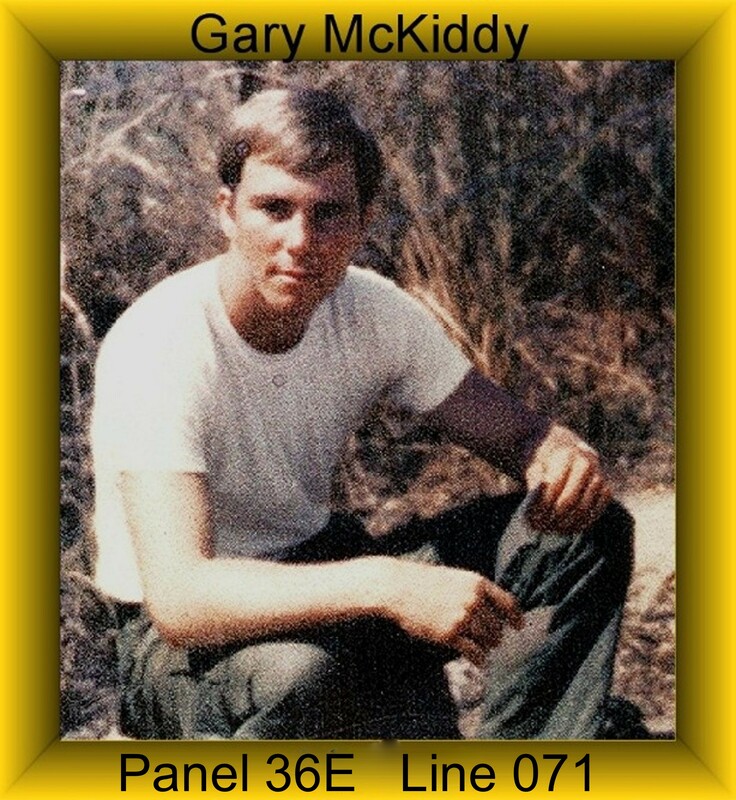 Gary was assigned to Charlie Troop 1st Squadron 9th Cavalry 1st Cavalry Division (AM) on October 9, 1969 and was Killed In Action on May 6, 1970. Through his heroic actions in Vietnam, Gary was awarded the Silver Star, a Purple Heart, The Air Medal,the National Defense Service Medal, the Vietnam Campaign medal, the Vietnam Service Medal and a set of Flight Wings. To read about that tragic day click on : www.usastruck.wordpress.com and it will take you another site. Once There click on “Tragic Event”.